When it comes to deployment, the key is consistency. We offer a variety of options so you can jump what you’re comfortable with. Longer bridle lengths are for wingsuiters. Pull Out: An older deployment style that pulls both the pin and pilot chute. Your rig must already be configured for a pull out. Collapsible for increased canopy performance. Mirage Systems, working with leading canopy manufacturers, has determined that the F-111 centerline collapsible pilot chute provides the most consistent openings and best canopy performance. 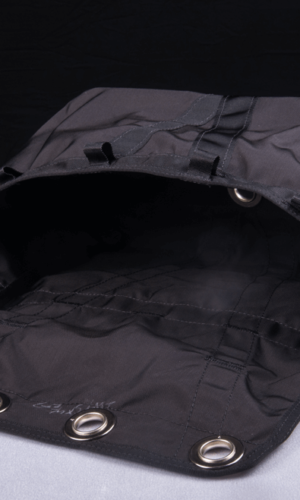 The included bridle window enables confirmation that the pilot chute is cocked when packing. Flying 200mph? Pick the handle that’s right for you. Comfortable leather ball that fits nicely in the palm of your hand. 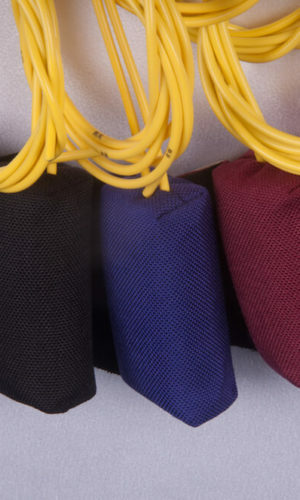 We offer two sizes of hacky: standard and extra-large. They are custom built in your choice of leather colors. 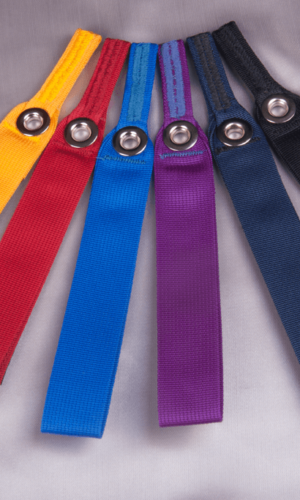 For skydivers who demand additional main pilot chute protection, we offer the Mirage Freefly Handle. This low-profile main deployment handle uses a Velcro-less tuck-tab and the existing bridle protection flap to securely hold the BOC pilot chute in place. The freefly handle is built in a manner that makes it difficult to accidentally dislodge, but easy to deploy at pull time. 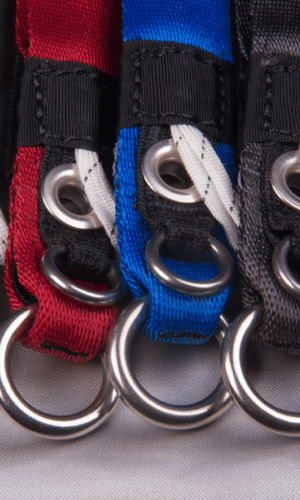 Freefly handles come in all Mirage container cordura colors. For those of you who want both, we offer the Freefly Hacky Handle. It offers much of the same protection as the Mirage Freefly Handle, but with the ever-familiar ball-in-palm feel. 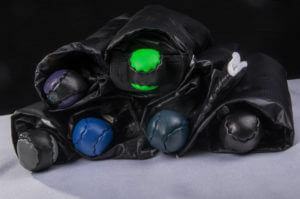 It is made of leather and is available with all of the same color options as the Hacky Handle above. At Mirage Systems, we offer a choice of main deployment styles. For sport containers Mirage recommends the industry standard “BOC Throw-Out”. 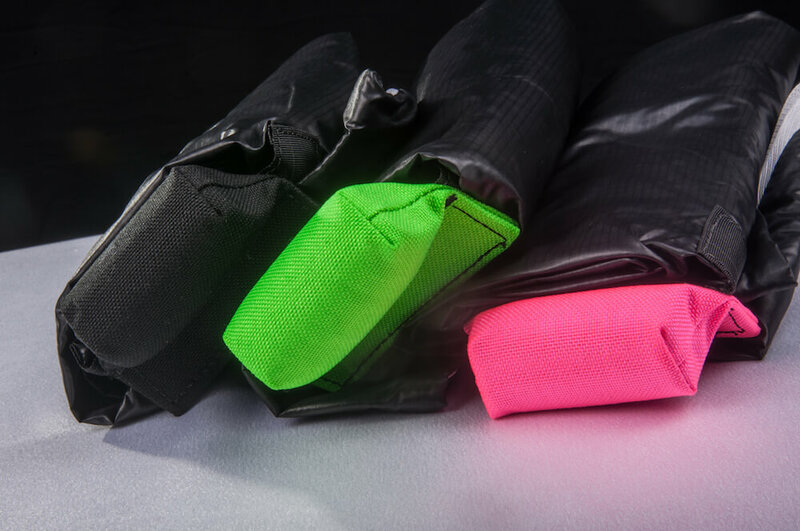 Our bottom of container throw-out deployment system features complete bridle protection and double-layered, high-performance spandex for maximum security and reliability. The main pilot chute’s bridle runs securely behind the right main side-flap. When deployed, this bridle removes a curved pin from the closing loop that secures the contents of the container. Mirage will also accommodate experienced jumpers who are accustomed to and prefer a pull-out style deployment.